You think about the past, but ends up in the future. What am I? 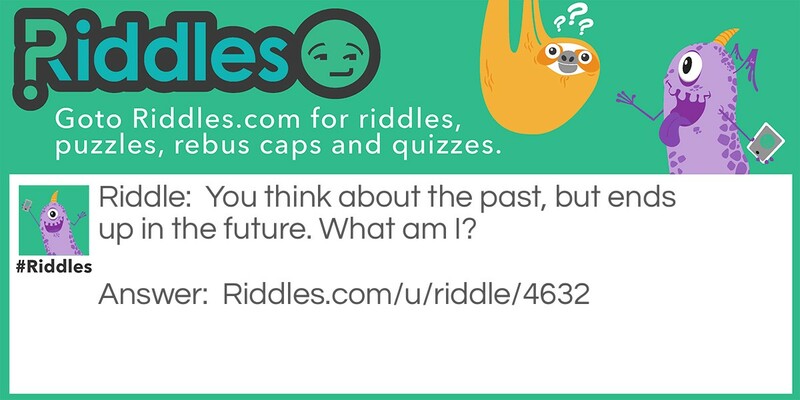 Past and Future Riddle Meme with riddle and answer page link.